Bang your head to the music, not because of your publicity problems. 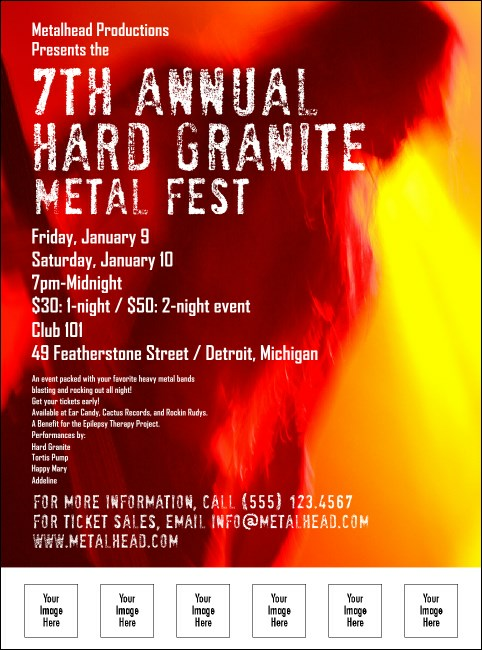 When you want to fill the pit at your upcoming concert, get the word out fast with the vivid, fiery Heavy Metal Flyer. Twenty-five lines of custom text on this template let you include all the details and hype every act with a look that's as bold as your sound. Do it your way with TicketPrinting.com!